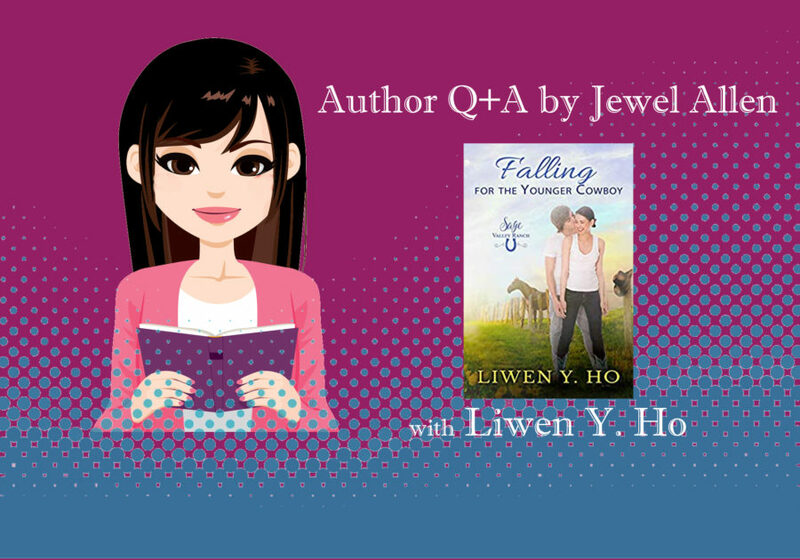 Liwen Y. Ho writes sweet and inspirational contemporary romance infused with heart, humor, and a taste of home (her Asian roots). She works as a chauffeur and referee by day (AKA being a stay at home mom) and an author by night. In her pre-author life, she received a master’s degree in Marriage and Family Therapy from Western Seminary, and she loves makeovers of all kinds, especially those of the heart and mind. She lives in the San Francisco Bay Area with her techie husband and their two children, and blogs about her adventures as a recovering perfectionist. Today she will share how she’s achieved success with shorter works, what brings more swoon into a romantic novel, and what makes for fun multi-author collaborations. Q. This morning, when I was setting up this Q&A, you said you had to get a manuscript to the editor. Did you get your book submitted? A. YES! Lol. I’ve never cut it so close to a deadline before. So glad it’s done. Q. Which book was that? A. It’s Lawfully Cherished, part of the multi-author Lawkeepers series. Q. Yeah, I’ve seen you post about that. Congrats. So that makes book number what for you? A. I think 24? But I joke that it’s more like 12 since most of my books are short. Q. I have also read an author once say that a book is a book. Let’s talk about short for a minute…what is the average length of your books? A.They range from 10k to 40k. The average is 25k I guess? Q. I have written short and longer before. I think there is a definite art involved in writing short. What is your best advice to someone who wants to write a novel on the shorter side that still delivers a compelling story? A. I love writing short and it comes kind of naturally to me (I’m the opposite of long-winded—that’s my hubby lol), so I have to think about this. I’d say it’s important to focus on one major conflict and not get distracted by other things you’d usually include in a longer story. Focus on the main characters and have a clear goal in mind for what each person wants to accomplish by the end of the story and one conflict that they must overcome to get there. If you really need to stick to a low word count, I’d suggest focusing on dialogue more than descriptions. And just keep the story going at a consistent pace. Q. What kind of income can short novels bring in? A. Good question. Honestly, if I could do it all again, I’d probably write longer books. Lol. (How, I’m not sure since it’s like pulling teeth for me!) The reason for this is that I only sell my short stories for 99¢ each and the page reads don’t bring in much obviously with so few pages. To give you a good picture of that, I have one series of 4 short stories (10k words each) and I’ve only made $275 in 4 years. I’ve had great feedback on these books and I personally love them, too. But they’re way harder to market. I actually put them into a boxed set last year. Last month I had a 99¢ sale and made $154. So doing a boxed set is definitely the way to go if you write short. Contrast that with the three 40k word books I have in another series that pulled in over 8x that much in one year. So yup, longer is better. Q. I seem to remember reading somewhere that you have a background in marriage relations or something like that? A . Oh, yes, I have a Masters in Marriage and Family Therapy. I didn’t get licensed though because I ended up staying home with my kids. But I love all things related to relationships, which helps when writing romance. Q. I can imagine! How did you end up writing romances? What year did you start? A. I started blogging actually about 6-7 years ago as a way to process through the ups and downs of parenting. Then I did some freelance writing. I’d always wanted to write a book though, so I decided to just do it. I published my first romance in 2014 and had started writing it the year before when my youngest started preschool. I didn’t really have a plan in place; I just thought I’d write a fictional take on my love story because we’re supposed to write what we know, right? Lol. Q. Sweet, your own love story. Which book was that? Q. So let’s learn alongside you. What things should a romance novelist avoid, as you have learned over the years? A. Haha, this should be fun. The one major no-no is head-hopping! Always be consistent in staying with one character’s POV per chapter. Also, don’t be afraid of conflict. When I wrote my first couple of books, I always tied each chapter up nicely. Then I learned that readers read romance to see how the characters overcome conflicts, so they actually want angst! Lol. I had to force myself to be okay with making my characters suffer (not too much though!). The last thing I’ve learned is to be open to criticism. Your story might be good, but it can only get better with input from others who read and write your genre. Q. How do you come up with your romantic conflicts? To me, that is one of the challenges of writing romance. I just want them to fall in love right away! A. I know, right?! Like why can’t we just get to the HEA now? Lol. For me personally, I write my stories based on the people. I’ve been told they’re character-driven. So I figure out what their weaknesses and strengths are, particularly what they want and what’s standing in the way of them getting it. I have pretty clear ideas of what their personalities are like and how they behave and react to different situations. It helps if the couple is very different personality-wise. That’s how my hubby and I are, which can be a source of conflict right there. 😉 Then when you throw in outside obstacles, you’ve got plenty of ways to make the characters suffer. Q. I love that! What a great process. Now I am curious, does your hubby read your novels? Aside from the one he co-wrote. A. Haha, um, nope! He’s amazingly supportive though. Sometimes he’ll be my sounding board when I’m stuck on a storyline. He prefers watching movies; he’s so not a reader. Q. He sounds just like my husband. With a bit more reluctance as a sounding board, but he can be a sport. Pull back the curtain for a minute. If romance novels happened in real life, would couples end up together for the long-term? A. Hmm…that’s a tricky question. 🙂 I think just the fact that novels are fictional means they’re a bit unrealistic. The male leads are probably more romantic than most men in real life (no offense to the males out there!). It’s just that most readers read romance to feel and experience the swoon-worthy stuff that doesn’t happen in day-to-day life. I think it’s totally possible to have that kind of romance in real life and for the long haul, but it also comes with other not so glamorous stuff like diapers, bills, and leaky toilets. Lol. Speaking of leaks, we currently have a hole in one of our bathroom ceilings because of a leak! Q. Uh-oh! Do you need to go? A. Oh no, it’s all good! As long as no one uses the tub, we’re good. Hubby’s working on fixing it. Q. Yes, for sure! Let’s talk multi-author projects…How have you gotten in so many of them? How many projects would you say have you been involved in? A. The short answer is God’s grace! The long one is basically forming author connections. I’ve been part of 3 boxed sets and 3 multi-author series. I was really, really lucky when I got asked to join my first boxed set out of the blue. I think the leader of that one found me through a freebie I did for my first book (which wasn’t great, remember?). After that collaboration, a lot of doors opened up for me. I didn’t really go looking for the other opportunities. I think it’s just a result of getting to know other authors who write in the same genre (through beta reading and Facebook groups). I’m so thankful for the projects I’ve been a part of because I’ve learned so much from them. Q. That sounds fantastic! How do you keep your own identity/style as an author while collaborating with others? How do you work around your own and others’ deadlines? A. It actually hasn’t been difficult to keep my own style. I think all the authors I’ve worked with respect one another and the strengths we each bring to a project. There is a lot of communicating involved though. It helps to be flexible, especially when it comes to deadlines because what you do/don’t do can affect everyone else. A. I think it’s important to go into these projects with the right expectations. Everyone needs to be willing to put in the time and effort. Be sure you work with authors you trust and know well and who you feel comfortable speaking up with. Multi-author projects can be really fun and positive or they can be the opposite. 😛 So, choose wisely. And be open to learning from other authors. Q. We’ll close with your newest collaboration, Sage Valley Ranch series. I believe your title is Falling for the Younger Cowboy. Can you give our readers an idea of what this fun new series is about? A. Yes, it is a fun one! Our tagline is “Where country life is sweet, and the romance is even sweeter”. This series is all about handsome and charming cowboys and the woman they fall in love with. It takes place on a fictional dude ranch in Texas. Three of the authors in the series live in Texas, so I was fortunate to learn all about the south from them. Our stories are all sweet, with plenty of heart and humor. We’ve even got a quirky ranch rooster named Elvis. Q. Ha ha, yes, I have heard of Elvis the rooster. Thank you so much, Liwen. You have always been so helpful to me and others, and I appreciate your time! A.You’re so welcome! Thank you for the opportunity! Visit Liwen Y. Ho’s Amazon page, her Facebook page, or her website. To learn more about how to write and publish fast for profit, check out my book Rapid Release.